The Hall was opened in 1901. 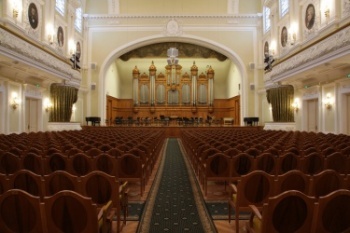 Today it is one of the finest concert venues for classical music in Russia. It has unique acoustics. Soloists, ensembles, and orchestras that are world-famous perform here. The Great Hall is also a site for festivals and competitions (among them since 1958 the International Tchaikovsky Competition). The Hall was opened in 1898. Its acoustics are ideal. The Small Hall is known for its chamber concerts. 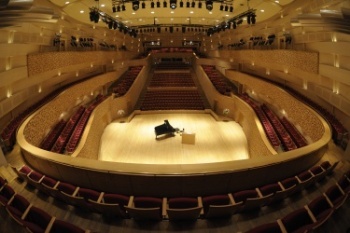 It also hosts student recitals, competitions, and festivals (among them the International Tchaikovsky Competition). 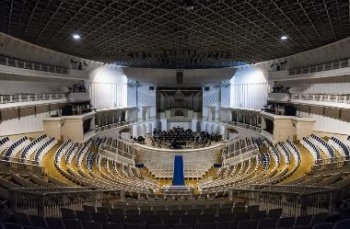 The Tchaikovsky Concert Hall has been one of Moscow’s finest concert venues since its opening in 1940. It is the principal concert hall of the Moscow Philharmonic Society. The concert hall is not only carefully designed to match the artificial relief of “Zaryadye” park, it is one of the key elements in the park’s view. The state of the art equipment provides for very different types of events. 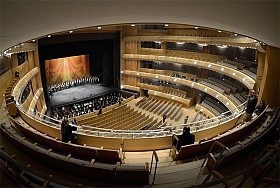 The presentation of the new Concert Hall of the Mariinsky Theatre took place on 29 November 2006. 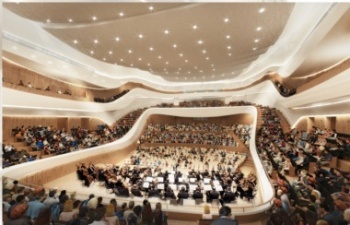 It is the only theatre and concert venue of its kind in Russia, designed according to the very latest developments in construction and purpose-built to host concert programmes. With regard to technology and acoustics, the work of Mr Toyota, the new hall ranks alongside the world’s finest concert venues. In April 2007 the Concert Hall opened its doors to the general public. The Hall that is now home to the Philharmonia was built in 1839. The Grand Hall of the Saint Petersburg Philharmonia is one of the best concert halls in Europe. Its first-rate acoustics have been singled out by leading recording companies from around the world. Since the 1940s it has been the centre of musical life in Saint Petersburg. The building, covering 79114 m.sq., is one of the largest theatre and concert venues in the world. The auditorium seats up to 2000 people at full capacity. There new theatre has seven storeys above ground and three below. Alongside the historic building of the Mariinsky Theatre, built in 1860, and the Concert Hall which opened in 2006, the Mariinsky II forms part of this theatre and concert complex, unique in its artistic and educational capabilities. 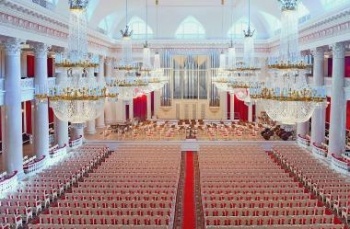 This complex reiterated the status of the Mariinsky Theatre as one of the world’s most important cultural institutions. 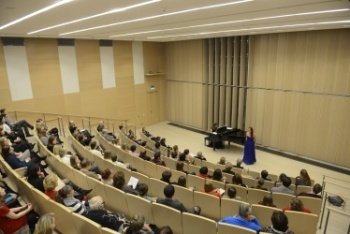 The Concert Hall was opened on 31 May 2017. It was created by French architect and conservator Xavier Fabre. The unique acoustics are the brainchild of a world-renowned acoustics engineer Yasuhisa Toyota. 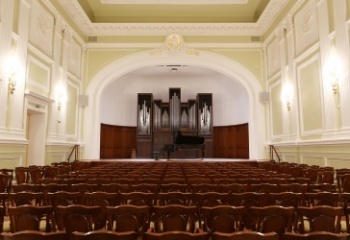 The Small Hall was opened in 1949 bearing the name of the great Russian composer Mikhail Glinka. It was at this same location that the public concert life of the Russian Empire first took shape at the beginning of the 19th century. Since 1802 the Saint Petersburg Philharmonia has offered concerts so that the capital’s music lovers could hear the latest in European music. 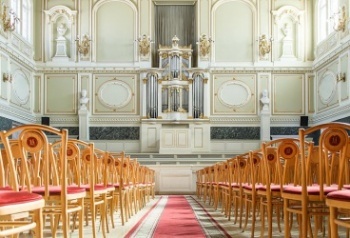 Premieres are performed in the Small Hall to this day. The Academic Glinka Capella is located in the complex of buildings that it has been occupying since 1810. In 1886 to 1889, the buildings were renovated according to the project of Leon Benois. 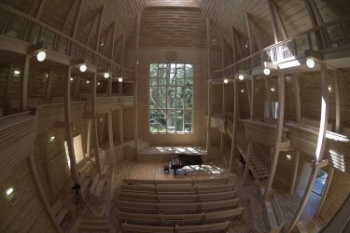 Today the Concert Hall of the Capella is considered to be one of the best in Europe according to its acoustic qualities. The design of its floor and ceiling resembles a violin deck. The Mussorgsky Hall is located on the fifth floor. It is named after the great composer who was particularly enthralled with the music of the poetic word, and it is generally intended for vocal concerts. Here there are frequent programmes by soloists of the Mariinsky Academy of Young Opera Singers, directed by Larisa Gergieva. 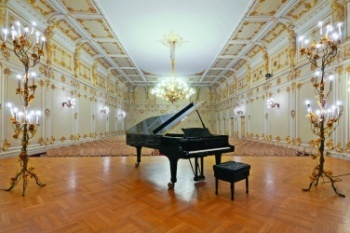 The Mussorgsky Hall also hosts the series Portrait of a Soloist which sees leading singers of the Mariinsky Opera perform recital programmes.